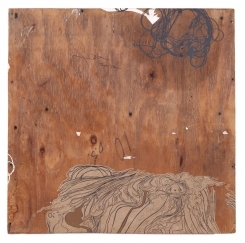 This piece is on wood. Featuring lots of layered paper cutouts of various designs and colors. 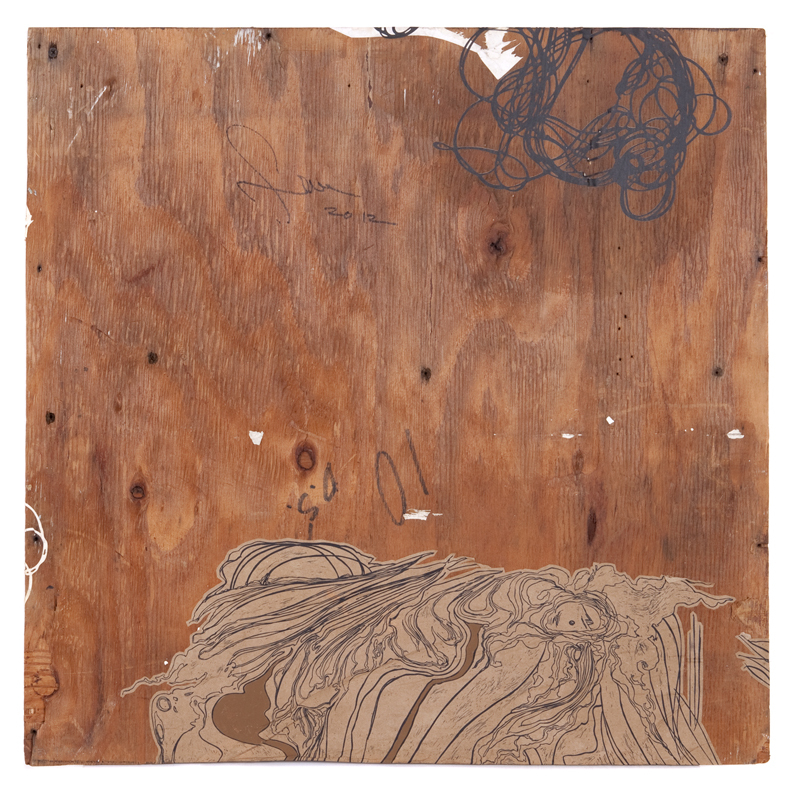 Screenprint on Kraft paper, hand painted acrylic gouaches and metallics, and paper cutouts on wood. Shipping and handling not included and will vary depending on destination. 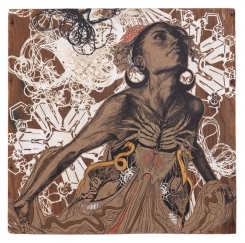 Swoon is a NYC based artist who has caught the eye of the world with her beautiful wheatpaste prints and cutout paper depictions of everyday street scenes. Her life-size pieces, often of her friends, family and neighbors, interact with their urban environment so well it often seems the city streets would not be complete without them. 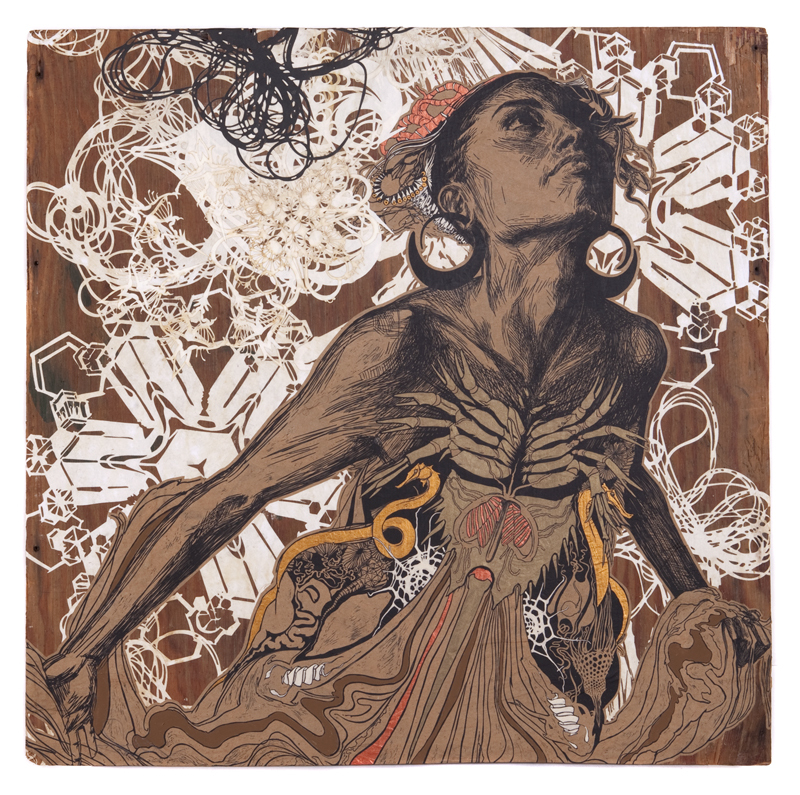 Not only has Swoons work caught the eye of street art aficionados, she has also garnered respect from major institutions including the Brooklyn Museum and MoMA who recently bought a number of her pieces for their private collection.